On October 17th, 2013, Al Huda Institute Canada took the hifdh students on a field trip to the Muslim Welfare Centre’s Food Bank with their parents. The staff at Al Huda Institute Canada wanted their students to see how food is distributed and how provide them with the ability to be active in the community. The students were given the task to help pack qurbani meat, organized the shelves with the non-perishable food items, greeted the families that came to collect the meat and food, and also helped prepare food baskets for them. Outcome: This wonderful experience helped the students appreciate the noble act of Qurbani and the importance of giving to those in need. The parents also enjoyed this opportunity and were motivated for future volunteer opportunities. 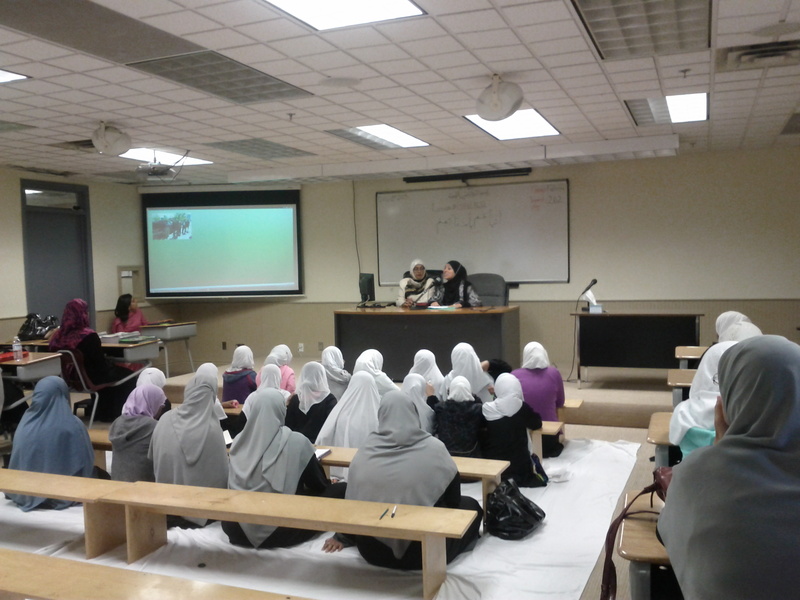 Later on October 19th, 2013, Al Huda Institute Canada welcomed speakers from the Muslim Welfare Centre to hold a workshop for the students about their centre. This was an information based workshop where they were told where all the food from the food drive was going. They also spoke about their food bank and informed the staff and students that they served approximately 35 families a day.This workshop enabled the students to see where the food goes, how the families are helped and who helps them. The seminar was a conclusion to the voluntee project conducted by the hifdh students. Another topic of discussion at the workshop was about the Muslim Welfare’s Womens Shelter. They informed the staff and students about the environment at the womens shelter and about their programs and services.